So, this year I've been playing a bit with embroidery. I don't have much to show for my efforts, but it's something to do. So far it's just some handkerchiefs, but I have plans for other things. Now would probably be a good time to make the move from planning to doing. You see, I had an encounter with the clearance bin, and now I have an excess of embroidery floss. 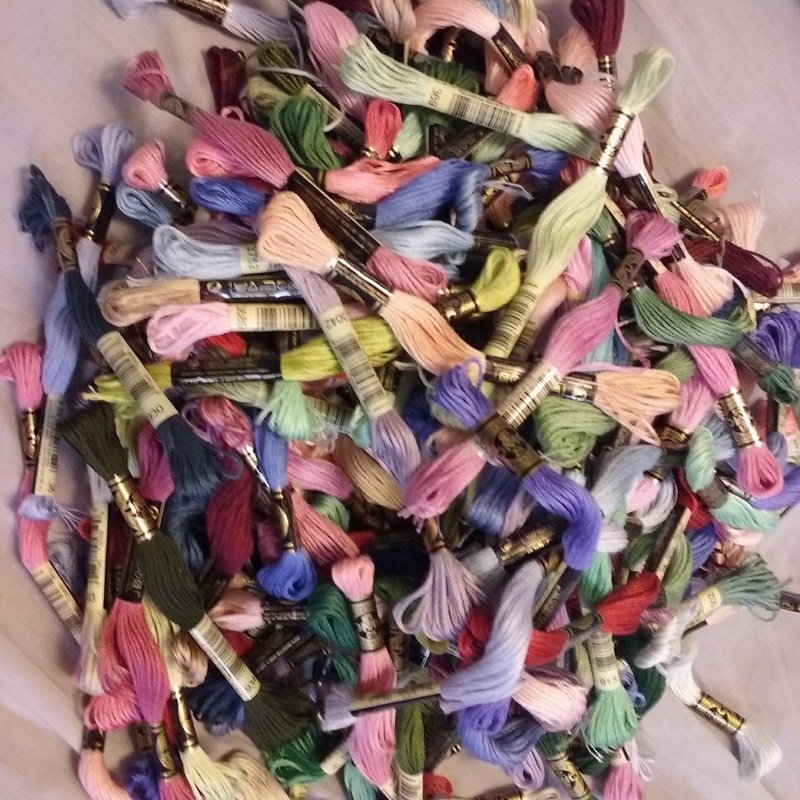 It was so inexpensive that I kept picking up more, but I left piles and piles for other bargain seeking stitchers. Maybe I will become the embroidery floss fairy and just start giving away the extra. Do you need any?